Happy Sunday-fun-day! We're all looking forward to trying to stay awake winding down from a very busy weekend by watching the game tonight! 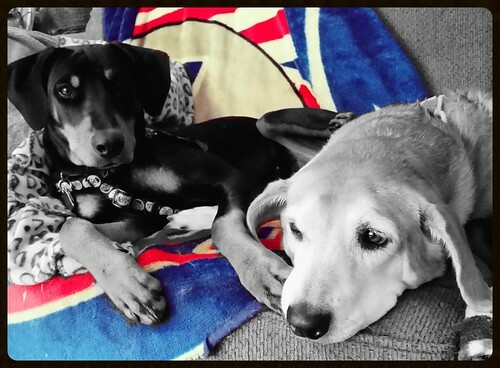 The girls are ready... all snuggled up with their favorite Patriots blanket! Enjoy your racing/football/leaf peeping Sunday! Let's go Pats!!! We can't wait for the game! Hope mom can stay awake! BOL!!! Yeah....the Pats are on our agenda, too, right after dinner. The Lapdogs know what's what, and who's great!